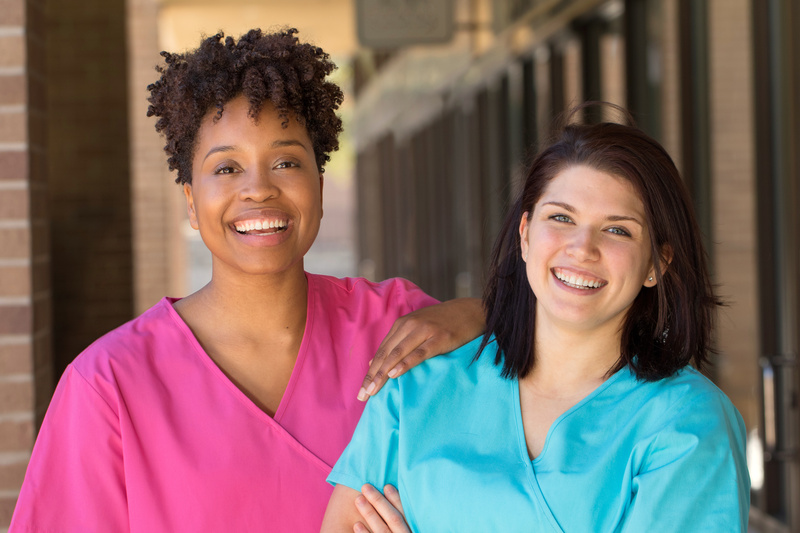 A Certified Nursing Assistant works closely with patients and is responsible for basic care services such as bathing, grooming, feeding patients, assisting nurses with medical equipment, and checking patient vital signs. A CNA provides patients with important social and emotional support and also provide vital information on patient conditions to nurses. What Will I learn in CNA training? Classroom instruction in a certified nursing assistant program generally includes: basic nursing skills, anatomy and physiology, nutrition, and infection control. Students also gain plenty of hands-on experience during clinical activities. How long is the CNA training? Classes are 4 weeks – 8 weeks long. Weekday, weeknights, and weekend classes are available, so you can complete you certified nursing assistant training in a very short period of time. A Certified Nursing Assistant job is a great entry point for the healthcare industry. You will be deeply involved in patient-care, making sure that sick and injured patients have their basic needs met, You can be employed at any Hospital, Adult care center, nursing home, etc.